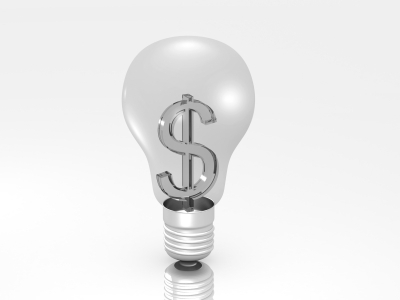 Energy Saving Myths: What You Think You Know Can Cost You BIG! Setting the thermostat higher or lower will heat or cool your home faster. Homeowners often set the thermostat higher or lower than necessary, thinking it will warm or cool their home faster, but furnaces and air-conditioners work at the same speed, no matter what the thermostat setting. A home will warm up to 70ºF just as quickly if the thermostat is set at 70ºF as it will if it is set at 80ºF. In fact, more energy may be wasted as the heating or cooling system continues to run to reach the higher set point. I have always believed this myth until we had someone come to service our central air unit. When he was testing the temperature of the air coming out of the vents, he explained to me that it takes the same amount of time to reach the desired temperature no matter how high/low you set the thermostat. A heating and cooling system works harder to reach a comfortable temperature after setback or set forward. Many homeowners do not adjust their thermostat at night or when their home is unoccupied because of the common misconception that the heating or cooling system must work harder or use more energy to reheat or re-cool the house, but this is not how thermostats work. The system turns on to reach a set level and shuts off when that level is reached. It operates more like a switch that shuts on and off than a car that accelerates when you step on the gas pedal. This is another one that I believed until talking to the same serviceman. I always thought it was the same as a car, so I’m glad they specifically mentioned that analogy. Energy efficiency and energy conservation are the same thing. Efficiency refers to using less energy to perform a specific task. For example, compact fluorescent lamps (CFLs) can light your home using less energy than conventional incandescent bulbs. Conservation involves reducing your need for energy through behavior changes, such as setting your thermostat lower. I never really paid any attention to this, but I do think that those buying appliances should take note when analyzing products/plans using these terms. When an appliance is turned off, it is off. Many appliances and home electronic devices continue to use power after they have been turned off—sometimes as much as if they were on. This is known as standby power or phantom load. The only way to stop the drain of power from these devices is to unplug them. My wife and I are always unplugging the chargers for our cell phones and other electronics. In fact, we purchased a couple of surge protectors that allow us to shut off the power to all but 2 predetermined outlets, so we don’t even have to unplug the chargers from those areas. CFLs are more harmful for the environment than traditional bulbs because they contain mercury. CFLs do contain a trace amount of mercury that can be emitted into the atmosphere if the bulb is broken. However, mercury is also emitted into the atmosphere through electricity generation. Using CFLs will help to reduce mercury emissions because they are more efficient and use less electricity. According to the U.S. Environmental Protection Agency, a typical 60-watt incandescent bulb will result in 5.8 milligrams of mercury emissions over its lifetime, while a comparable CFL bulb will emit only 1.8 milligrams—even if it ends up in a landfill. Recycling CFLs can further reduce emissions. I never heard that CFLs contained mercury, so this is new to me. Leaving lights and electronic devices on uses less energy than turning them on and off. In most cases, the small surge of power needed to start a device is much less than the power that is wasted by leaving it on when it is not needed. I’ve never heard this one either, but I can see someone believing this since you hear the same thing about the thermostat (see above) and allowing a car to idle. Duct tape is the best choice for sealing ducts. Duct tape has very low durability when used to seal ducts. Over time, it will fall off as the adhesive dries out and the tape starts to wrinkle. Mastic or metal-backed tapes—available at your local hardware or do-it-yourself retailer—are better choices for duct sealing. Ummm…it’s called duct tape, right? Who here didn’t think that was because it is perfect for sealing ducts? Yes, I have seen it dry out, but I always assumed that it was still the best option. Purchasing an efficient air-conditioner or furnace will automatically reduce energy bills. This is true to an extent, but optimal savings will not be achieved unless the system is sized and installed correctly. Installing an efficient, but over-sized, system may negate much of the potential savings, while a poorly designed duct system will also impact efficiency and comfort. Windows, doors, and insulation also affect heating and cooling efficiency. Things are never as easy as they seem. There are so many variables when it comes to reducing energy costs. Dimming lights by 50% will cut lighting costs in half. In reality, the relationship is not quite direct and the savings may be less than expected. Dimmed lights do use less power, but when lights are dimmed, the voltage drops and the filament becomes cooler. This causes a loss in overall efficiency. Again, a case where the simple assumption isn’t as accurate because of other factors. Closing off vents will help to lower heating and cooling costs. Closing or covering up vents is typically not a good way to save on energy costs. Heating and cooling systems balance their load throughout the duct system. If one vent is closed off, it throws the system off balance. Pressure can build up in the ductwork, causing leakage and reducing the amount of air circulating in your home. This reduces system efficiency and home comfort. My wife and I will do this under the assumption that this will just increase the airflow to the remaining open vents. We won’t be doing this any longer! As you can see, these misconceptions and myths about home energy use are not merely interesting facts, but use can cost homeowners in the form of higher energy bills and can lead to unnecessary home maintenance and reduced comfort.